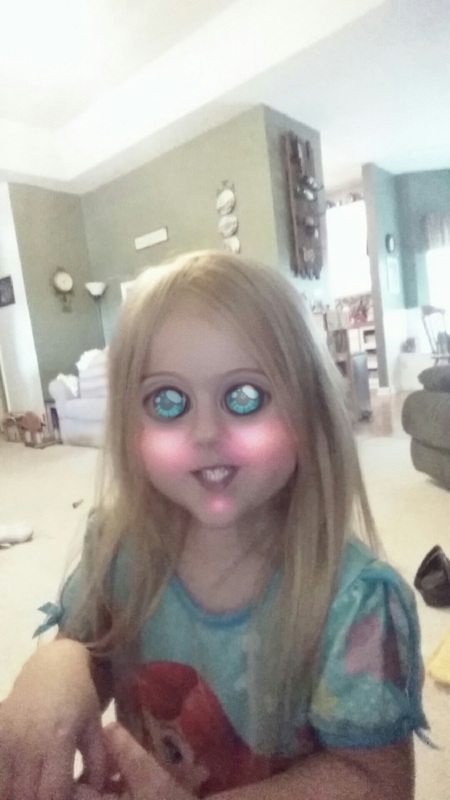 My girls new obsession….Snapchat. ….which I have to say it has become my personal entertainment too!! So when I’m working and my 3 year old walks up to tell me she wants to “play Snapchat”, I oblige!! Baked Potato Soup Courtesy of Mama Loves Food! Fall is my favorite time of year!!! Especially all the crisp season food favorites!! Potato soup has always been a fav for me and my husband (my girls too if mood strikes them in the moment ***eye roll***). What makes it even better is that it is one of the bazillion recipes I have “pinned” on Pinterest that even turned out good (to our liking anyway)….ya know what I mean….come on….I am not the only one that has had plenty of fails from Pinterest hehe!! Anyway, I made just as she has done, tons of garlic and all. I do have to say that you will need to have a 6 or 7 quart crock pot!! I have a 6 quart and there was literally NO ROOM!! So if you like potato soup, I encourage you to give this one a shot and let us know whatcha think!! Hope ya enjoy! !